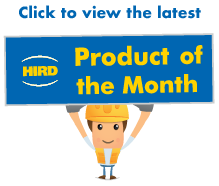 This lift demonstrates how the expertise, experience and credibility of Hird made sure a machinery moving lift could be completed to a client’s satisfaction. 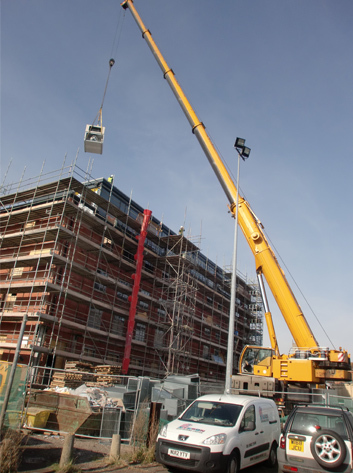 Hird was commissioned to carry out a contract lift to move air conditioning equipment onto the roof of a new hotel. A site visit was carried out to agree a lift plan. On the day of the lift, it was found site conditions had changed. So the way the lift could be completed had to change as well. Despite the change of circumstances, the lift could go ahead and was completed successfully. The five-storey 80-room hotel was being built close to Grimsby railway station. One of the key elements of the fit-out process was to lift the air conditioning equipment onto the roof. 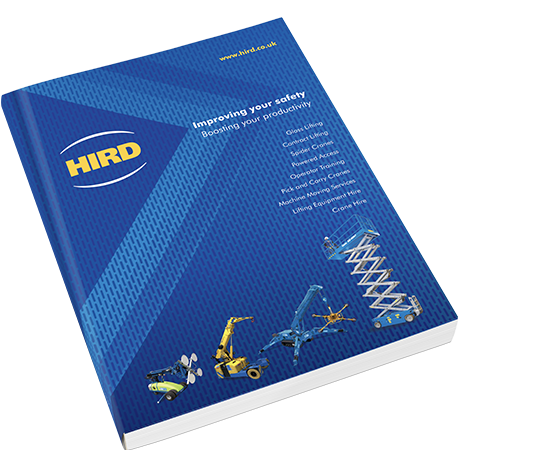 Hird was commissioned to carry out the lift. Following site visit, a risk assessment and method statement (RAMS) was agreed. Because the construction site was next to a railway line, Network Rail had to approve the RAMS, and have a senior engineer present during the lift. On the day of the lift, it was found that site conditions had changed. 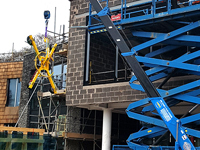 Hird Crane and Machinery Moving Manager Mick Bradshaw, who was project managing the lift as the competent person, realised the crane would have to be placed in a different location to carry out the lift. It had to be moved three metres away from the building, and turned through 90 degrees. Also, the loads would have to be lifted 24 metres radius, not 20 metres as planned. These changes were incorporated in a new RAMS. 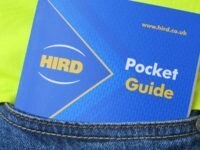 Hird then gained approval for the new lift plan from all interested parties, including Network Rail. The lift went ahead and was completed successfully. 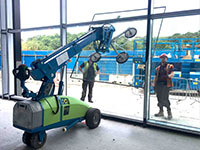 In all, 20 lifts were carried out to lift air conditioning units and ducting onto the roof. The heaviest load was 1.5 tonnes. As well as Bradshaw as the competent person, Hird deployed two slingers, one on the ground and the other on the roof, all linked by radios, with the crane operator. The crane selected for the lift was a Liebherr LTM 1160.5.1 mobile crane. 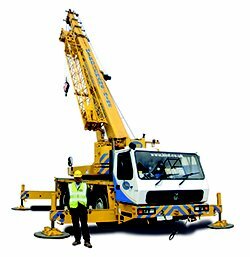 It has a maximum lifting capacity of 160 tonnes at 3m and a telescopic boom with a maximum length of 62m.